Our gym provide for our guest. 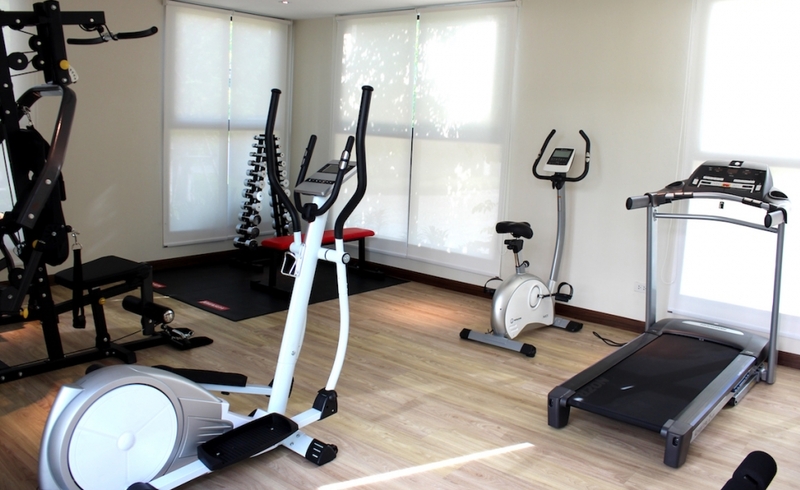 The equipment available includes strength and cardio machines such as steppers, treadmills and bikes as well as a free weights area for your daily workout. The gym is available to guests free of charge. The gym is open daily from 08.00-20.00 pm. Our guests are invited to use the dry sauna. You can relax in our spacious relaxation lounge and enjoy the view of our beautiful hotel garden. The sauna is heated between 5:00pm and 19:30pm. It can also be heated for you at other times, upon request.